Plaintiff alleged disability discrimination, failure to provide reasonable accommodation, failure to engage in the interactive process, unlawful retaliation, unlawful retaliation in violation of public policy, harassment, wrongful termination in violation of public policy, failure to prevent discrimination and harassment, failure to prevent retaliation, invasion of privacy, intentional infliction of emotional distress, and failure to pay overtime wages against defendant Murray’s Iron Works. Id. Against defendant Irene Leisner, the Human Resources Manager and co-owner of Murray’s Iron Works, plaintiff alleged harassment, invasion of right to privacy, and intentional infliction of emotional distress for allegedly entering the men’s restroom at work and yelling at him to get back to work and to hurry up while he was using the restroom. Id. 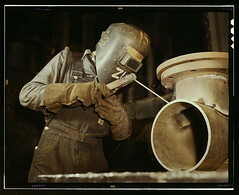 The jury found that: plaintiff had a disability but found that it was not a motivating reason for his termination; plaintiff did not request an accommodation; he was not terminated in violation of public policy; defendants’ conduct was not outrageous; defendants did not invade plaintiff’s privacy, and defendant Murray’s Iron Works did not willfully fail to pay the full amount of wages earned by plaintiff on his last day of employment. Id. But Plaintiff was awarded $212 against defendant Murray’s Iron Works on the cause of action for violation of Labor Code sections 201 and 203, for failure to pay all wages that are earned and unpaid are due immediately at the time of termination. For Plaintiff: Richard Y. Chen, Torey J. Favarote, Paul M. Gleason, Tuyet T. Nguyen, Janet S. Yavrouian, of Gleason & Favarote, Los Angeles. For Defendant: Paul M. Kelley and Amy Semmel, of Donfeld, Kelley & Rollman, Los Angeles.